Natural language commands are information rich and conscious because they are generated by intelligent human beings. Therefore, if it is possible to learn from such commands and reuse that knowledge, it will be very effective and useful. 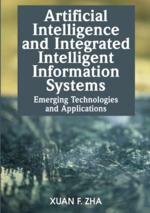 In this chapter, learning from information rich voice commands for controlling a robot is discussed. First, new concepts of fuzzy coach-player system and sub-coach for robot control with natural language commands are proposed. Then, the characteristics of subjective human decision making process and learning from such decisions are discussed. Finally, an experiment conducted with a PA-10 redundant manipulator in order to establish the proposed concept is described. In the experiment, a Probabilistic Neural Network (PNN) is used for learning.